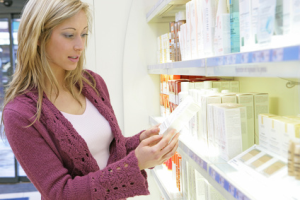 The truth about new formulas or reformulated cosmetics : what brands want to hide. Loyalty in cosmetics? Well, yes, that too, of course… Often there are passionate love stories of life-long fondness… with tons of “I love you, I love you too so much”… But what if one of you changes, and one doesn’t recognize the other any more? As a formulator, I’ve often been approached for suggested reformulations, so I’ve seen products with potential for a new life being forcibly dragged away by their owners. So I often feel like a make-over guy looking at a subject that doesn’t really want to be changed (the product), while the person giving the order wants their protégé to be transformed at all costs to make sure they stay at the top. It really feels like I’m in one of those make-over TV shows. But what’s the truth? The truth that some manufacturers would rather cover up with nice-sounding marketing talk that keeps boasting about the advantages of the new formulas? If you take their word for it, they only want to reward their loyal consumers with even better products, but in reality, if you look a little further, the picture isn’t quite as idyllic as they would like you to believe. What are the real reasons why a brand might change its formulas? 1) A need for media attention. It’s the same mechanics that make People magazine work, which relies on juicy stories, or paparazzis that look for a new scoop: it’s vital to be able to present new stuff that will be covered by the specialised media which often helps to create the new star product. Because cosmetics brands and celebrities alike are doomed to depend on an artificial respirator, in a way; their survival depends on this system, on this perfectly standardised media apparatus that makes the difference between who lives and who “dies”… either you’re “in” or you’re “out”… Which side are you on? I’m exaggerating a bit, but let’s be realistic: in that sort of highly competitive environment, in that bloody, Spartacus-esque battlefield, manufacturers don’t have any choice; they have to do something, they have to fight to survive, or they’ll fade out of existence. And one of their weapons in this battle against oblivion is reformulating products. Products that have completed one “life cycle” and that have, in a way, lived out their first lives, will then have to undergo some “modifications” to remain fashionable… yep, the time has come for their second lives. It’s true that in some cases, a manufacturer really does start using new active ingredients in order to noticeably improve a product, give it a better feel, and be able to offer the consumers real added value, but unfortunately that’s still rather uncommon… Often, when you try out one of these reformulated and theoretically improved products, and especially if you knew the original product well, you’ll notice unexpected differences: the product seems less effective, it seems to be lower quality… I often hear people say “oh, it used to be better than this”, or “huh, that’s weird, it’s not as good as it used to be. I loved this product, what’s going on? I don’t get it.” No, I can tell you, it’s not just you! This publicity allows them to “recruit” new consumers… and to increase their brand awareness and reputation. Long story short, the manufacturers hit a gold mine. They get to wake their sleeping beauty and they get a free PR boost to boot. How do I create a cheaper reformulation? Well, it’s simple. I just replace as many ingredients with cheaper ones as I can without changing the feel of the product too much… But even for the best formulator in the world, it’s not always an easy task (considering also the required delays for this reformulation) to end up with a product that’s exactly as effective. 3) Shortage of and increased prices for certain ingredients. If you have a product that’s mad of certain ingredients, and the availability of those ingredients fluctuates, to a point where they’re nearly out of stock… then you need to consider reformulating that product with more commonplace ingredients. Usually these are synthetic ingredients that are not or hardly affected, due to their production methods. That’s what happened with squalane, which was out of stock for months on end. One of my clients asked me to find him some… and I replied, um, sure, I could… can it wait for a year? It’s like with gasoline prices. (2 Euros a litre in Paris right now! At this rate I’m going to have to start taking the bike to work… that should save me some money 😉 ) Cosmetic ingredients can be subject to price differences that border on the insane, too. The prices soar and as you can understand, that could lead to a lot of problems for the manufacturers… This was the case for jojoba oil, vitamin E and (non-GMO) soybean oil. 4) Media and/or consumer influence. It’s a strong indicator of the consumers’ power, which is quite reassuring in a way. Happy, ladies? Well, don’t get carried away, these are still very limited changes… I’m sorry, but cosmetics companies are craftier than that. 5) Changes in the regulations. Cosmetics regulations have become a lot more strict these recent years, which, in my opinion, is also a good thing in itself. Safety norms and good manufacturing practice are getting close to medical-grade manufacturing standards, which guarantees more safety for the consumer. Some ingredients are no longer allowed, or their maximal dosages have been reduced. So formulas that don’t comply with these new standards have to be modified to comply with the new regulations. But these reformulations are usually only an option for brands that can afford them, since reformulation is expensive. The reformulation itself is expensive (that’s most of the budget… what do you mean, I’m expensive? But I’m worth it! Haha) and then there are stability tests, microbiological tests, tolerance tests, toxicity tests… that take a considerable amount of money, and not everyone can afford that. So the niche brands, the smaller ones, get in trouble for not having the money to pay for these mandatory modifications… The little brands, the ones with limited funds but grand ambitions, are often shoved aside like that, wiped off the chessboard that’s being dominated by the big names. Of course, there are also brands that only mention their new formulas to show off, without really making any significant changes… Just putting “new formula!” in a corner on the box, and making only token changes to the formula, just enough to get that claim past the consumer protection people… and there you go! Rake in all the cash. A cheap little bogus modification and it pays off in solid gold… risk-free… Pretty neat, isn’t it? It’s the very definition of intelligence… wouldn’t you agree?